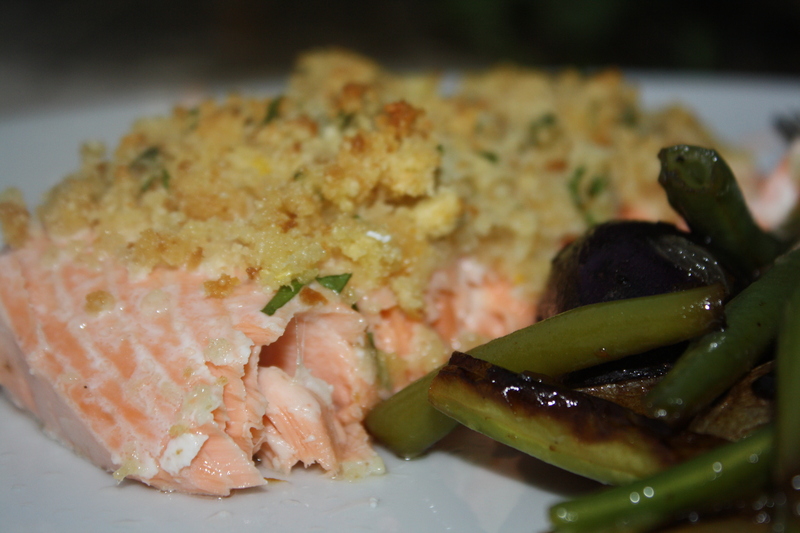 Our family loves fish, especially Salmon! 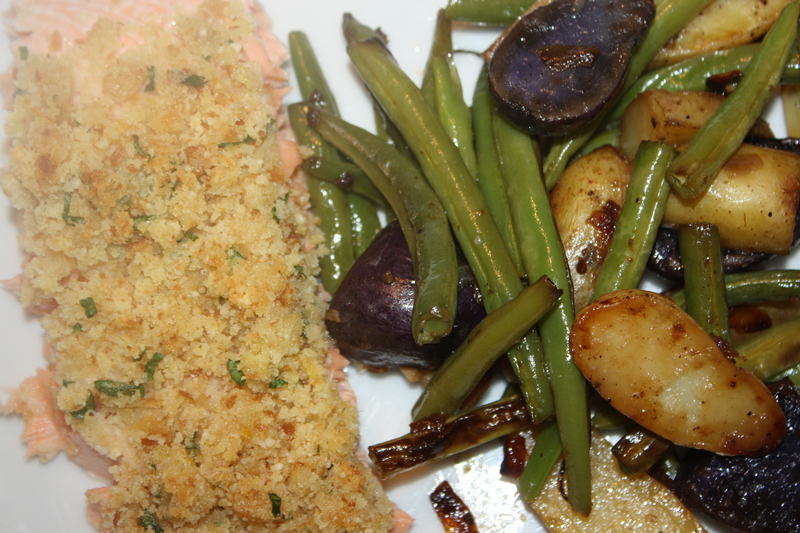 Normally my husband grills it and it is delicious but he was at work so I decided to try this recipe for Lemon Herbed Salmon. I really enjoyed this recipe! 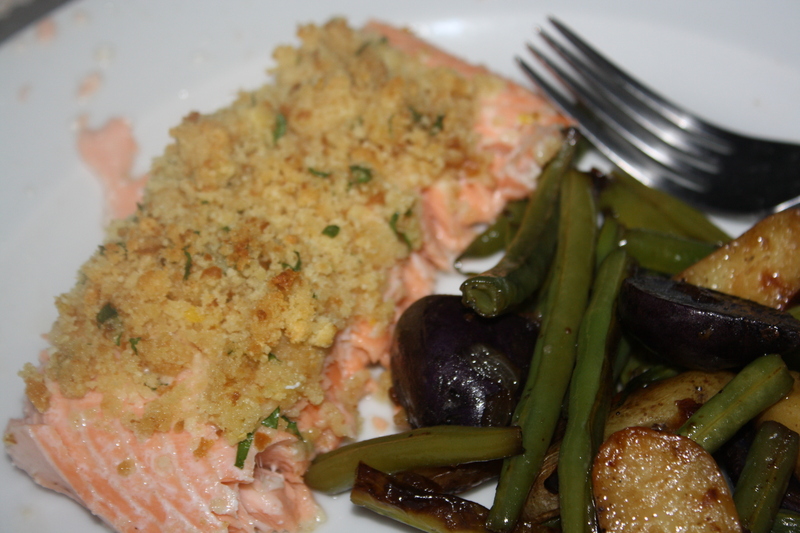 The crumb topping with the herbs and lemon zest gave the fish such great flavor and texture. I will definitely be making this many more times to come. 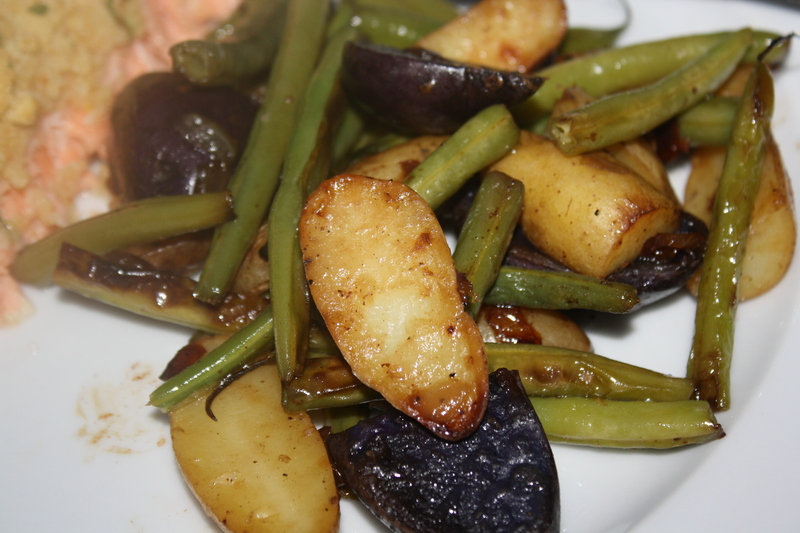 I found the recipe in my cookbook Taste of Home 30-Minute Cookbook. I changed it up just a tad. 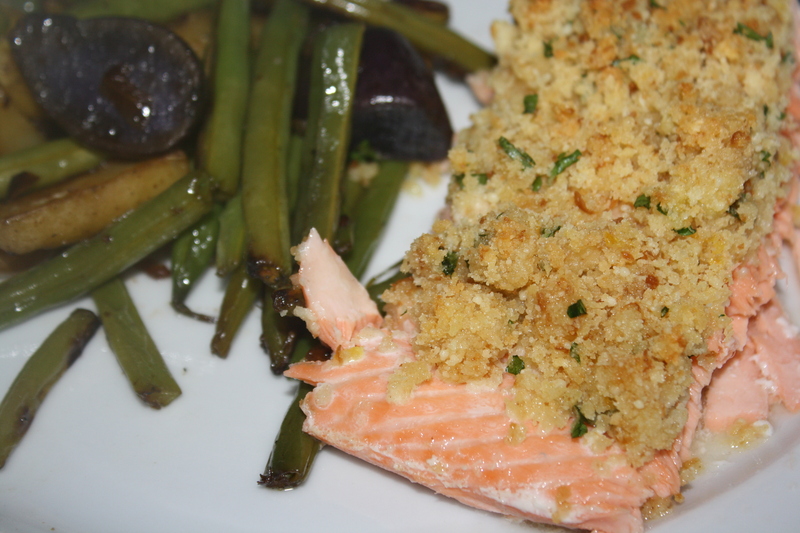 In a bowl, combine bread crumbs, garlic, parsley, Parmesan cheese, lemon zest and salt; mix well. Add 4 Tablespoons melted butter and toss lightly to coat; set aside. Pat Salmon dry. Place it in a greased baking dish. Brush with remaining butter, cover with crumb mixture. 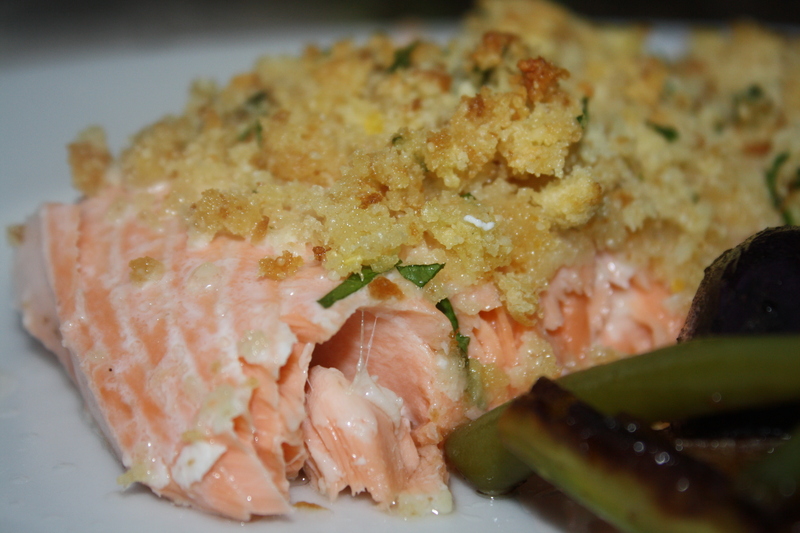 Bake, uncovered, at 350 degrees for 20-25 minutes or until fish flakes easily with a fork. *Note: I made fresh bread crumbs in seconds with my food processor. It took about 4 pieces of bread to yield 2-1/2 cups fresh bread crumbs. I love my food processor, It was given to me by my grandma and grandpa who had to have had it for at least 50 years! It still works great and I think of them every time I use it. 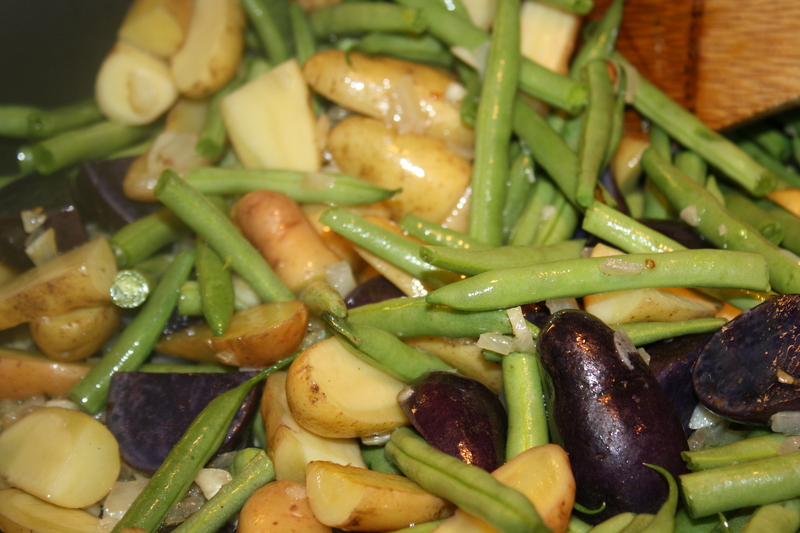 I washed and cut the potatoes and green beans and chopped up some onion and garlic. 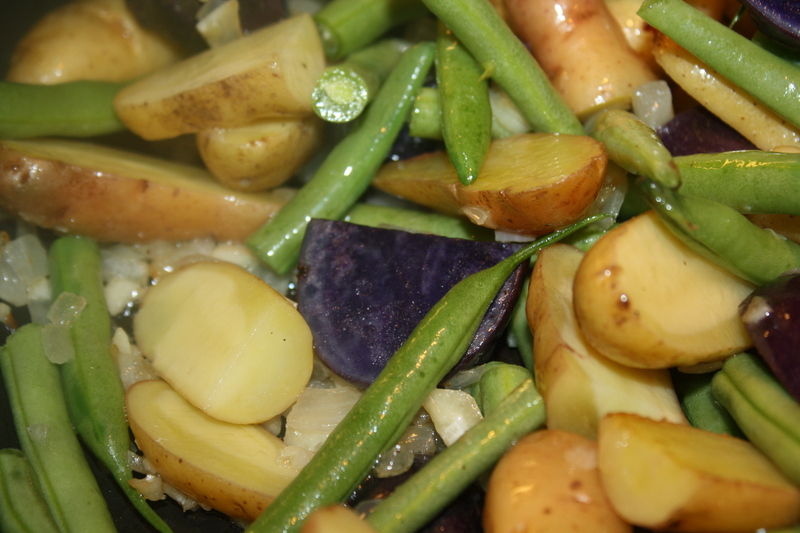 Then I saute the onion and garlic first and then added the potatoes and green beans. 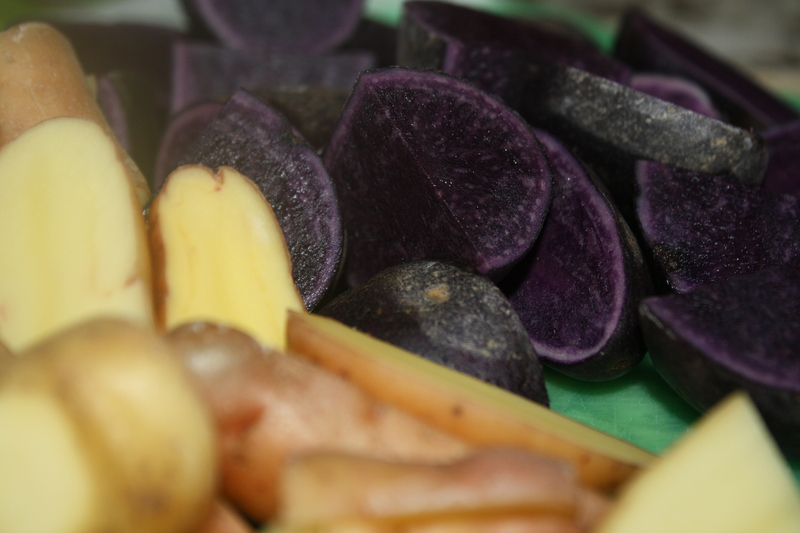 Cook until the veggies are tender and the potatoes have a nice seer on them. Season with salt and pepper to taste. I have to say my not so health conscious side of me wanted to fry up some bacon and then cook the veggies in the bacon grease and top it off with the bacon, but my health conscious side thought it would be much better for us if I just used olive oil. I have to say that my healthy side won and it did still taste very good but next time I might try the bacon.